The Patton Law Firm represents medical and recreational marijuana businesses in all business, licensing and administrative law matters. The law office is located in Solon, and serves businesses in the Cleveland area, throughout Ohio and nationwide. 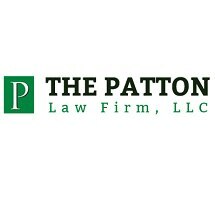 The Patton Law Firm was founded by David V. Patton, a lawyer with more than 15 years of administrative law experience. He is board-certified in administrative law by the Ohio State Bar Association, one of only eight lawyers who can claim that title statewide. He has earned a positive reputation for guiding marijuana businesses through the regulatory maze to obtain and protect the licenses necessary to operate. This is a personal matter for attorney Patton. In 2013, his son was diagnosed with epilepsy and began having grand mal seizures. Doctors thought the child was going to die. Attorney Patton and his wife refused to give up hope. They researched and discovered cannabidiol (CBD). This powerful treatment option gave their child a normal life. Seeing the benefits of medical marijuana, attorney Patton has focused his law practice on helping medical marijuana businesses get treatment to patients in need. He serves cultivators, processors, testing labs, dispensaries and other marijuana-related businesses in everything from establishing their businesses to applying for licenses and appealing license denials.